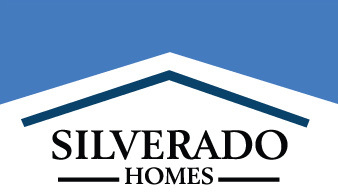 Silverado Village in Placerville is a community of 113 residences offering single story homes from 1,217 to 1,590 sq. ft. Two of the model homes are open and ready to tour. All homes at Silverado Village include exterior home maintenance, wireless emergency response systems, and the benefit of retaining the equity power of homeownership. Amenities have been built around senior needs and feature everything from easy-to-use lever style door hardware and controls on all plumbing fixtures, lower set cabinets and microwaves for better accessibility, no-step walk-in showers, recessed lighting at all travel paths and emergency pull cords and remote pendants for enhanced peace of mind. These amenities are in addition to build features such as R-8 duct insulation, tankless hot water heaters and homes built 18% more efficient than California energy efficiency requirements. Homes at Silverado Village Placerville start in the high $200,000’s. Models and sales office are located at 3471 Eskaton Drive and open daily from 10:00 a.m. to 5:00 p.m., Mondays open at noon. For more information, please call (530) 748-3568.